Researchers at the University of Liverpool have found that long and slender stone tools were made by human ancestors at least a million years ago - nearly twice as long ago as generally thought. Materials such as branches, twigs, and stems were readily available to both animal and human tool makers from millions of years ago, but research at Liverpool has now shown that elongate forms were also made out of stone by human ancestors much earlier than is usually recognised. 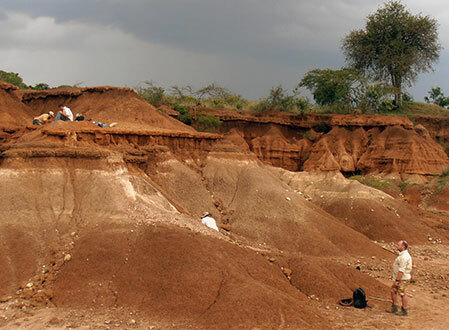 Professor John Gowlett, as a member of an international team based on the Universityâs Department of Archaeology, Classics and Egyptology, is working at Kilombe in Kenya, where he has found a number of hand axe tools that are very long and narrow. Professor Gowlett said: “Psychologists have shown that moderately elongate forms are often favoured, especially those in the ratio 0.61. But there also seems to be a special attraction to far longer and slenderer forms. “Some of the stone tools from Kilombe and other early sites are almost two and a half times as long as broad and there is no way this can occur by accident. They must have been carefully crafted. “Usually such slender shapes are found far later in the fine blade tools made by Homo sapiens. 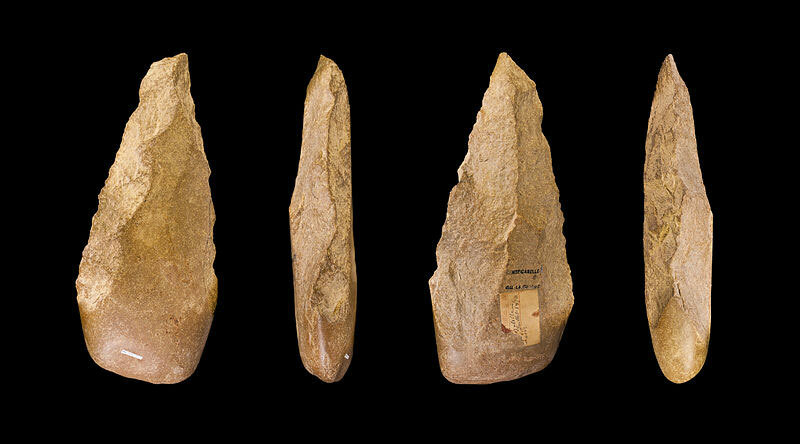 The hand-axes were made by the earlier Homo erectus. “As the concentrations of elongate tools are rare on the Kilombe site, they were probably made to carry out tasks of animal butchery or plant preparation which did not occur very often. Gowlett, J.A.J. (2006). The elements of design form in Acheulian bifaces: modes, modalities, rules and language. In: Goren-Inbar, N. and G. Sharon (eds) Axe Age: Acheulian Tool-making from Quarry to Discard. Equinox, London.